Long considered the most conservative of South American capitals, and passed over in favor of its flashier Argentine neighbor to the east, Buenos Aires, Santiago has been undergoing something of a Renaissance in the past decade. Chic hotels, restaurants, and boutiques have opened up all across the city. Despite this trend, the city is still a very affordable place to visit – and with LAN's current "Big Deal" promotion, getting there doesn't have to cost a fortune either. Hip HotelsThe Aubrey hotel enjoys an unbeatable location at the foot of Cerro San Cristóbal, under the watchful gaze of the giant Virgin Mary that stands atop the hill. The hotel, which is housed in a building that a prominent political party once called home, is made up of two mansions dating from the 1920s. The 15-room boutique hotel retains the buildings' art-deco wood paneling and features stylish interiors that mix Tom Dixon lamps with mosaic tiling, crystal chandeliers, and 17th-century oil paintings. Some of the rooms have terraces overlooking the bohemian Bellavista neighborhood, while at the on-site piano bar, you can sip an authentic pisco sour in the relaxing ambiance of the cobble-stoned courtyard. (Rates start at $242 a night). Lastarria Hotel, in the neighborhood of the same name, also occupies a 1920s private home and retains its marble staircase, soaring ceilings, and art deco charm. The hotel offers suites where rates begin at $189 per night including breakfast. No visit to Santiago is complete without a visit to La Chascona. 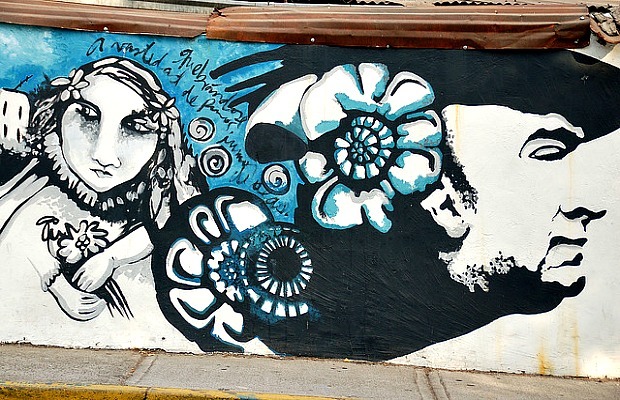 Named for the wild red hair of his lover, Matilde Urrutia, La Chascona was one of three homes belonging to Nobel Prize-winning poet, Pablo Neruda (if you want to see the other two, they are to the west, in Valparaíso and Isla Negra). You can take a guided tour through the house, which is filled with artwork, colored glass, a dining room modeled on a ship's cabin and a living room designed to resemble a lighthouse (around $5). Inaugurated in 2010 and named for Chile's other Nobel literature prize winner, Centro Gabriela Mistral hosts free exhibitions in its two large galleries, as well as a busy schedule of cinema, theater, and music. Free tours of the center leave every hour. At the colorful, lively Mercado Central you can stock up on fruits, vegetables, and lots of fresh seafood, or dine at one of the many stalls scattered throughout the market. Try a typical dish of caldillo de congrio (a thick conger eel soup; Neruda's favorite) or ceviche. 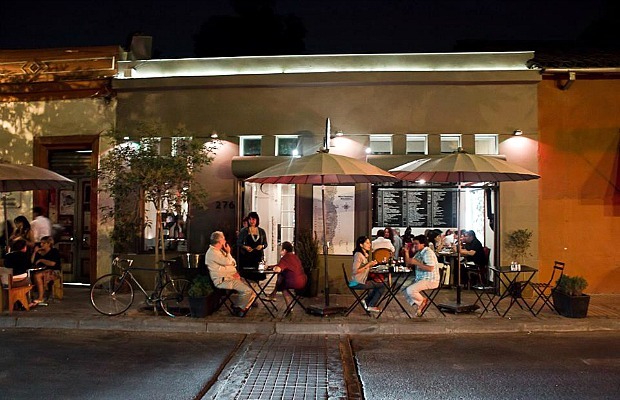 Chic restaurants and bars abound in the Lastarria neighborhood. At Boca Náriz you can sample wine flights for less than $10 – the bar holds around 800 different types of Chilean wine. Urriola serves meat and seafood, with main courses starting at around $12, as does the nearby Casa + Lastarria, which has outdoor cobbled terrace seating and an upstairs terrace.